We arrived at daybreak so there's nothing much to do but to have a few drinks at Bahia de Baler. A live reggae band played at night so it's nice to hang out here. Gin & I had midnight dinner at Bay's Inn just along Bahia de Baler. Tourist go here to SURF! 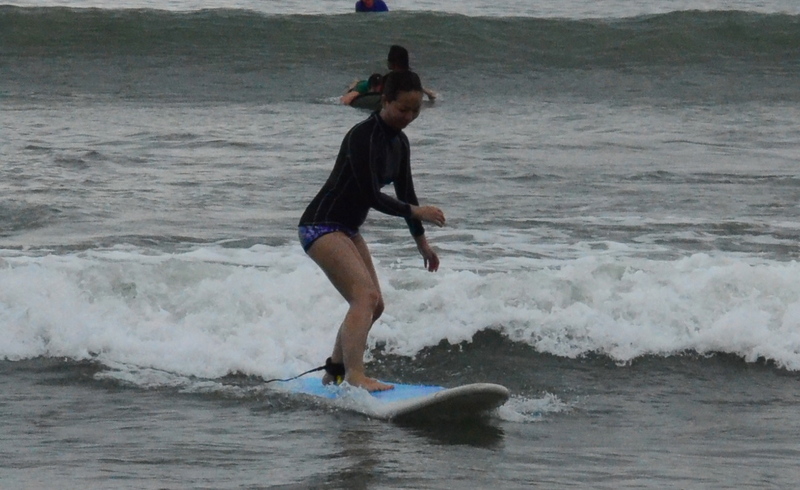 So even if it's not exactly on my bucket list (never tried surfing & never planned on doing it!) I just couldn't resist the adventure. So here I am having a quick surfing lesson before riding on the waves! 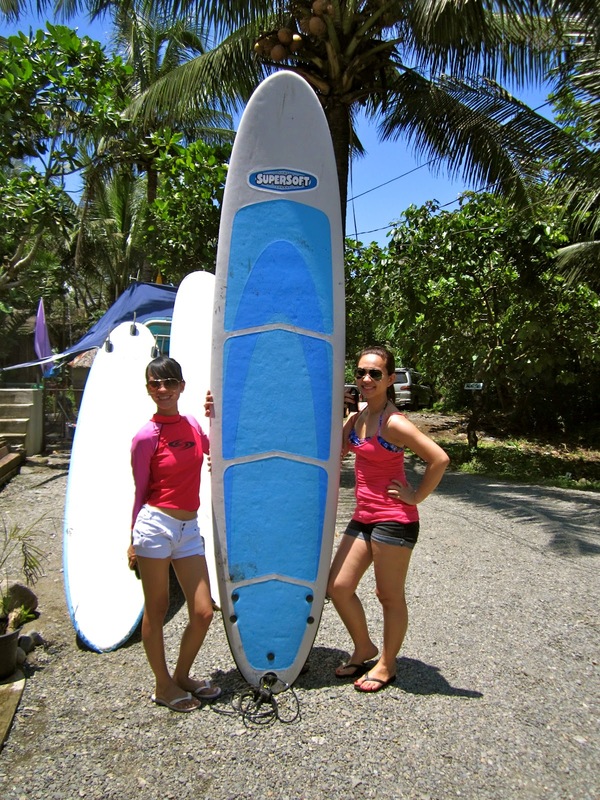 :p Surfing with instructor costs P350 per hour. If you are a beginner, it's good to have an instructor with you. 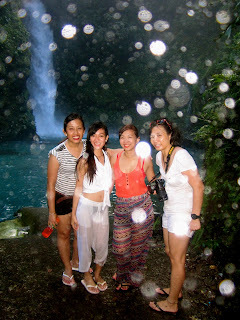 After our wave-trotting adventure. Had lunch at Bay-ler View, we have to eat plenty for our town day trip. 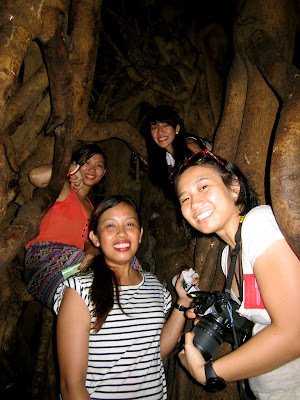 Then had an ethereal experience inside a Balete tree. 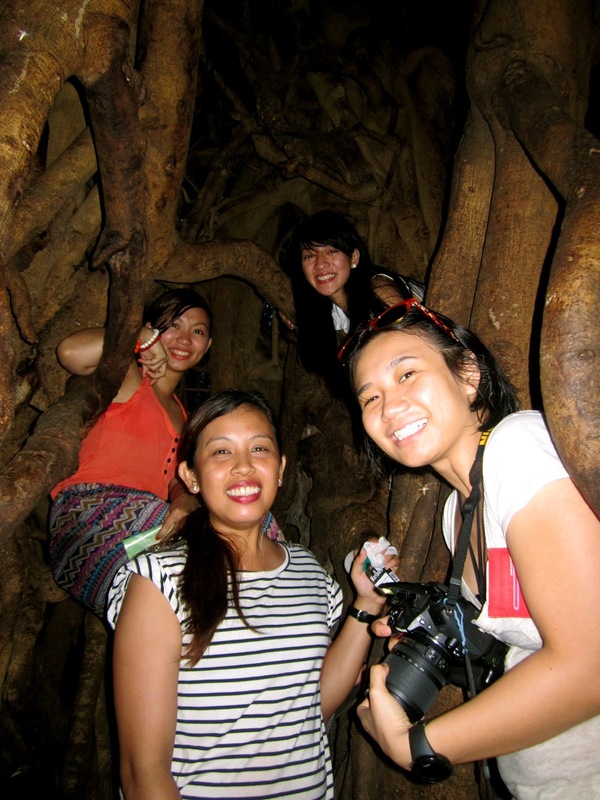 It is said to be the oldest Balete tree in Asia. 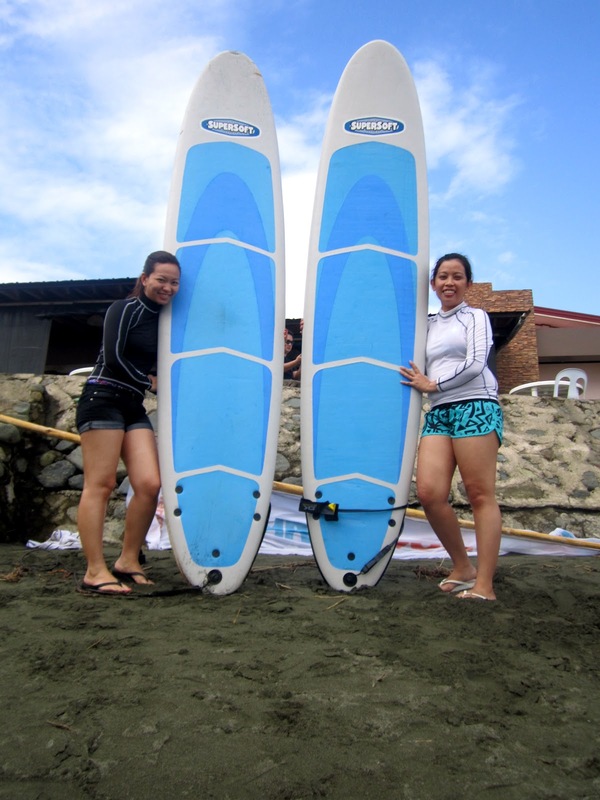 The next day, I tried surfing once more together with Yee. 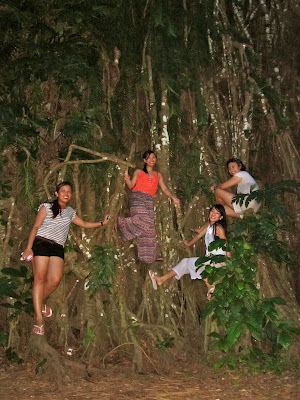 Baler wasn't bad at all. 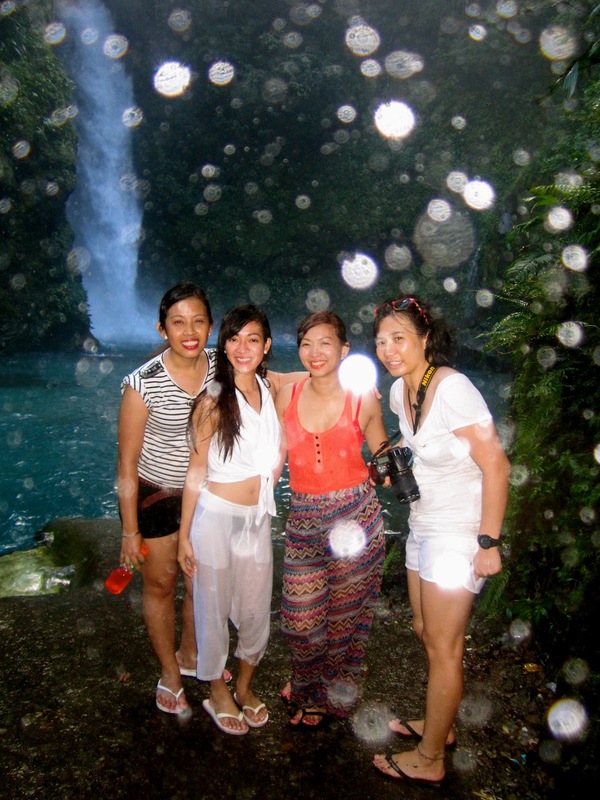 I can honestly say that this was one of the fun-est trips I've had! 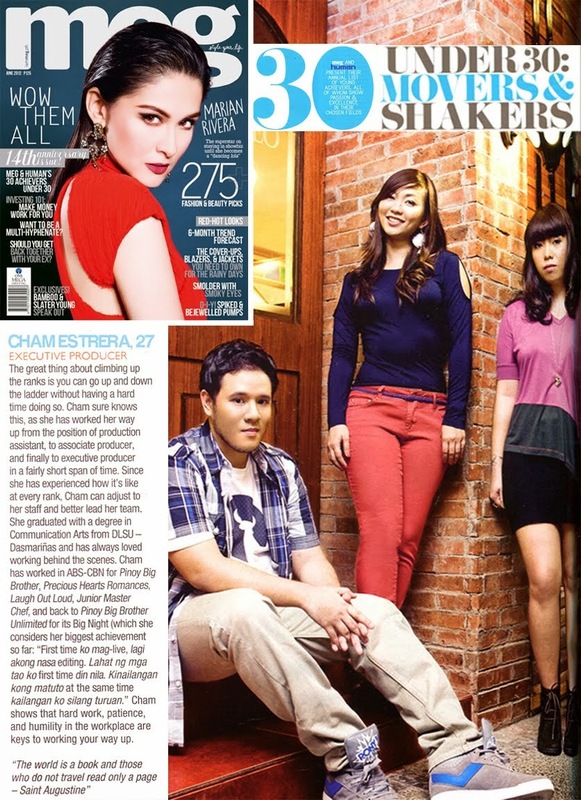 Thank you #puchupuchu girls! Thank you Baler!